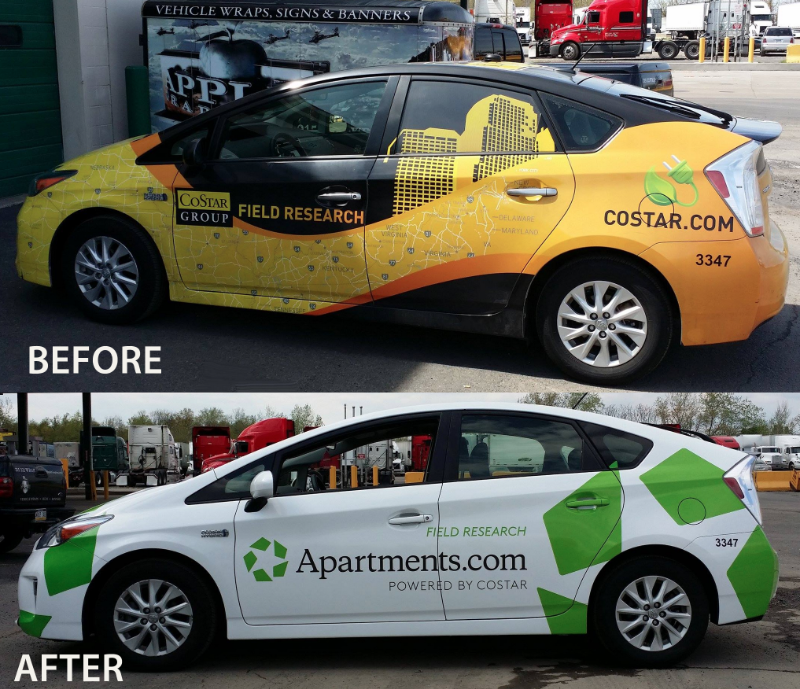 Vehicle Wraps have become the most effective form of advertising today. 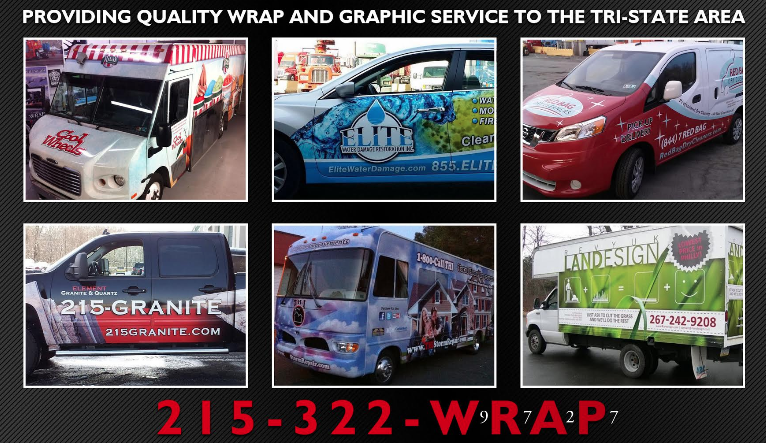 Vehicle Wraps are the most affordable way to advertise today. With each new year mobile marketing has become the most cost effective way for businesses to create brand awareness as well as promoting products and services. The average American drives 300 miles a week and sees an average of 20,000 vehicles on the road in that time frame. Apple Graphics is one of many thriving companies to date providing custom graphics for vehicles on the East coast. Apple Graphics, out of Philadelphia, provides quality large scale printing. We do more than just installing unique designs for any vehicle, trailer, or store front. For new businesses we can provide you with an original logo design, start you off with business cards, take care of flyers and banners as well as signage of any size. Even tailgate graphics or removable magnet graphics are an effective place to begin to get yourself noticed. Mobile advertising with custom graphics last at least 7 years. Vinyl graphics are taking the place of custom paint jobs. Vinyl is used on race cars, in sports arenas, and for event backdrops. Vinyl is a removable material and does not damage surfaces. Even on billboards today vinyl is the number one applied material. For one specific individual there are endless options for unique custom graphics. 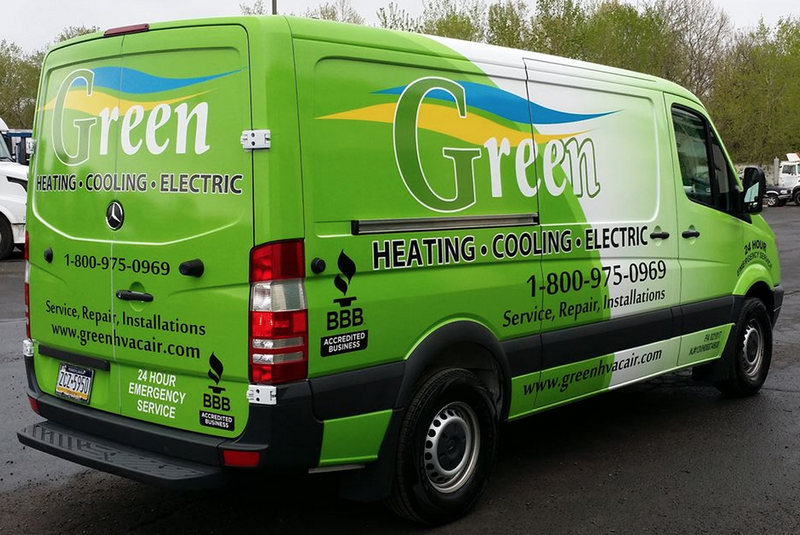 For a more uniform business advertising approach fleet wraps remain largely effective and popular. If your ready to get noticed now is the time to jump aboard the mobile advertising global game. Get your vehicle wrapped today. 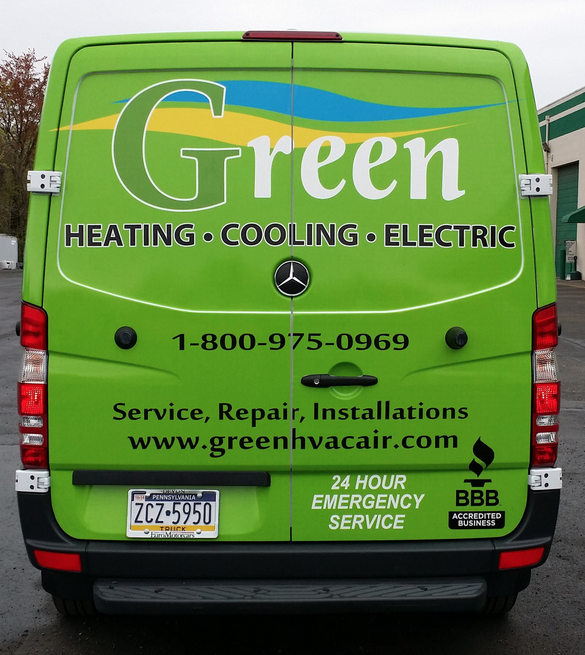 Green Heating & Cooling hired Apple Graphics to wrap this new sprinter van with their new vehicle design. This is a perfect example of a moving billboard with high visibility graphics. 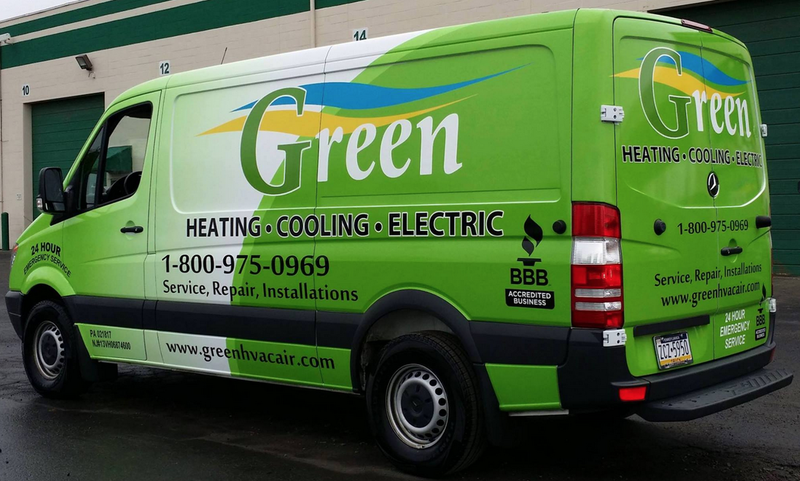 The bright green colors on the van will attract thousands of eyes to their brand and logo. Wrapping your Vehicle Fleet is one of the best marketing return on investment a business can do!